Filed in: Food & Drink, WGF - What the Gluten Free?! Do you need to serve gluten free beer for that “special-needs-someone” this Thanksgiving? 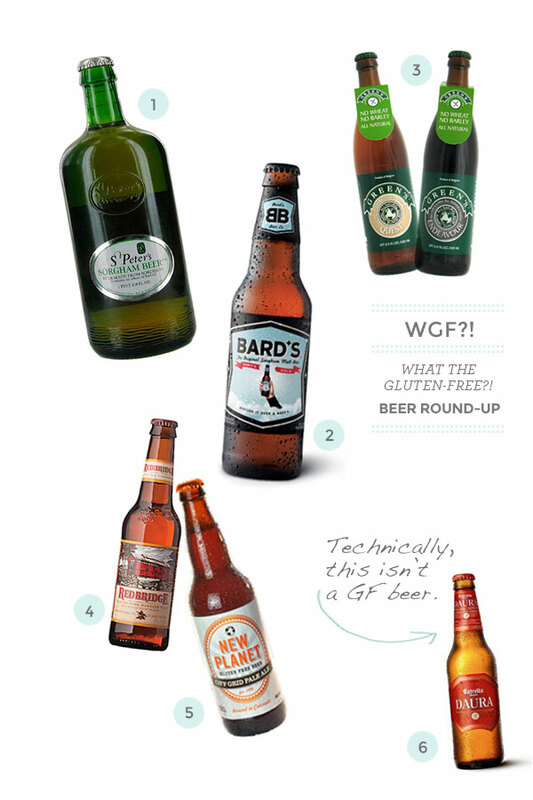 Here are my top gluten free beer picks to make shopping a little easier. I listed Daura even though it’s technically NOT GF. It has a great taste, so if you’re just trying to eliminate gluten from your diet (not allergic to it), then I recommend this one. (*Personally, I can’t handle Daura or O-Mission beers for that matter). Here’s a PDF describing why some GF beers aren’t 100% gluten free (from the FDA). This one is a bit pricey, but totally worth it. The flavor is pure perfection. Hoppy and crisp. It’s also hard to find in a typical supermarket! This is my go-to beer. It’s your typical light ale (the working man’s 6-pack). Be sure to check the expiration date on these suckers. I’ve had a couple of flat and yucky-tasting bottles. The entire line-up of Green’s is fantastic. These taste like the real deal. A great “craft beer.” They are hard to come by (I don’t see them in the store very often). Try them all! Meh. This is the easiest GF beer to find at your local grocer. I’m not a huge fan, but if it’s the only thing available, I’ll buy it. The flavor leaves a weird aftertaste. Meh. Price: $ $ $ $ $ ! This is another working-man’s beer. It tastes like beer should taste – hoppy and light. I’ve only seen 4-packs of these. And at $9.00 for a pack,…well, there’s nothing “working-man” about that price point. Another typical larger. It has a very nice taste (much better than Redbridge). Again, if you have Celiac disease, I don’t recommend this one. Only for folks who are trying to cut the amount of gluten in their diet.